California Viticultural Area. This is the sister to Muscat Hamburg grapes and was first found further south in Italy. 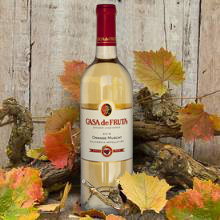 We call is Casa de Fruta Muscato. Refreshing, flowery and slightly sweet. Enjoy it ice cold.